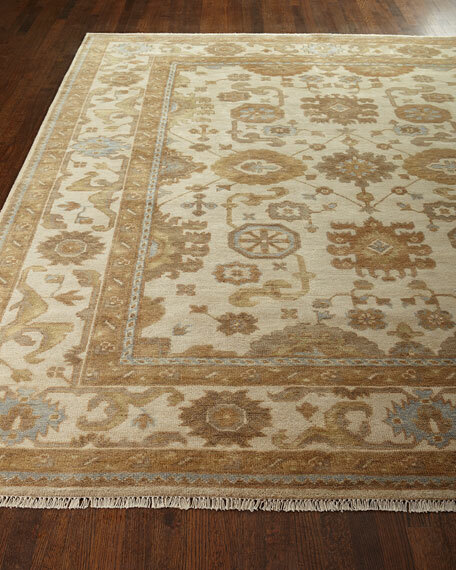 Rug pays homage to the traditional rug-making methods of old-world craftsmen. Hand knotted of New Zealand wool on a cotton foundation. Hand washed and sun dried, then hand trimmed.